Dear Future Self: "'I'm skinnier than you!" Future self, this society is honestly the weirdest generation ever. Body shaming is so common nowadays since most of the well-known celebrities are promoting tone defined skinny bodies. Anyway what I'm going to be talking to you about today is similar to that. On Saturday, we travelled to Christchurch to meet up with my step-dad and two older sisters. My eldest sister is 20 years old and when she was around my age, she was fat! Ever since she moved out of the house in 2014, she started losing weight and became skinny because she hardly eats, she says. Nowadays, she is skinnier than me by a bit and every time I'm with her and my other sibling, the topic is about weight, like "oh Leila, you're so fat?" "have you lost any weight now that you're vegetarian?" etc. I hate being with them sometimes because it was there fault that I am so self-conscious about my weight although according to the internet and my classmates, my weight is a healthy weight for my age. Even so, my sisters always mentions my weight just because they're skinnier than me by about 2-3 kilos. I admit, they are skinny but fit? I don't think so. My body type is mesomorph and it is easy for me to build muscle so out of the three of us, I am more fit. Also, not to mention that when my eldest sister was 15 she was a lot fatter than I am. But that doesn't stop her from saying things like, "I'm skinnier than you." Which brings me to shame and also upsets me a lot because a) I'm actually trying to lose weight b) I have lost weight and I feel better about my body c) why the f*ck are you talking about my weight? I love them and all but sometimes I wish they could just leave me alone. Well future self, how do you feel about your body right now? Happy? Sad? Are you being teased or praised about it? Hello! Hey! Welcome to the blogging community! I love how your blog is going so far I just read Mr. Perfect and thought I would comment on this post after reading it. I have been meaning to write a letter to my future self but I have no idea what to say. This is great inspiration. 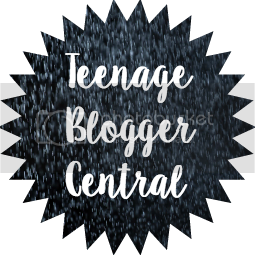 Hi, welcome to Teenage Blogger Central! We're so glad to have you join the community- your style of blogging is unique and really stood out! On a personal note, I understand what you have to go through. It's tough to ignore what people say if they're in your immediate family. Fortunately, you know you're doing fine and are absolutely healthy! Try your best to keep up that inner monologue and soldier on ^^. Looking forward to seeing you around on TBC. Have you joined the Google Plus group? Have a nice day!